Need a New Propane Tank Installed? Building a new home, office building, agricultural building, warehouse or remote outbuilding? Choose cost efficient propane gas as your fuel of choice and call North Star Energy to have a new tank installed. 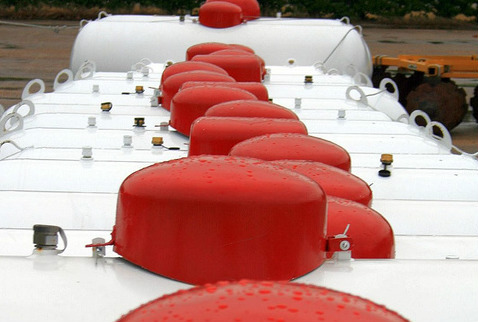 We sell and lease many popular sizes of propane tanks for your needs, including underground 500 and 1000 gallon tanks. We also carry a large inventory of regulators, hoses, fittings and related propane equipment to install or repair your gas system. Need a Fireplace or Space Heater Installed? Whether building new or remodeling an existing structure, North Star Energy has experienced professional installation technicians on staff to install propane, natural gas and electric fireplaces and unit heaters. Our professionals will work closely with you to determine your needs, develop proper specifications, provide a cost-effective quotation and safely complete the installation within the time frame required. North Star Energy is well recognized for its premier service and support.